One chemical and heat resistant resin handle accommodates all system blades: 100mm, 170mm, or brain blade - for outstanding versatility. Two sturdy hardwood handles with trimming blade holder for two lengths of blades. Advanced design allows blades to be removed and replaced quickly and easily. 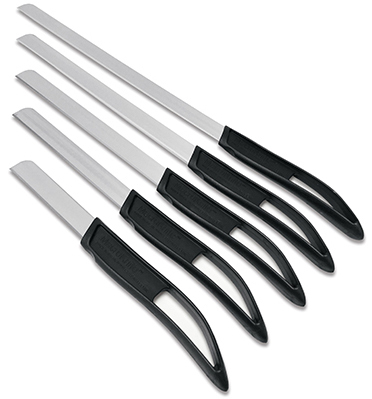 Replaceable blades are clamped firmly in a special, single piece, heat and chemical resistant handle. Curved and pointed blade (0.2mm thicker than other brands) offer greater resistance to deformation under cutting pressure to help improve accuracy. The DissecTable Board is made from high density, thick, stain resistant polyethylene for years of use without bending, swelling or changing shape. 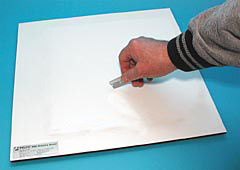 A drain trough is provided around the edge of the board to contain fluids. 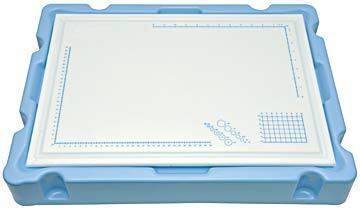 This dissecting board offers large scales printed on one side and two smaller layouts on the other side. The scales are cm from one corner and inches from the other corner. The printed circle pattern shows 4, 6, 8, 10, 12, 14mm and 1/8", 1/4", 5/16", 3/8", 1/2", 5/8" diameters. The side with one large layout printed also includes a 60 x 80mm grid. Board dimensions are 575 x 400 x 12.5mm (23" x 15" x 1/2"). The heavy-duty DissecTable Base with rubber feet is used to elevate the DissecTable board to the proper height, hold board more stable and collect any run-off that may escape the board drain trough. Bases are stackable to adjust height higher. Board may be used without base. 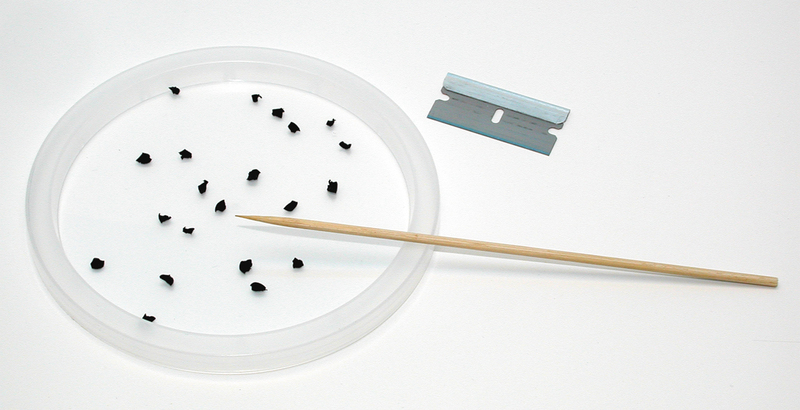 Surface is self-healing and will not damage razor blades or scalpel blades. 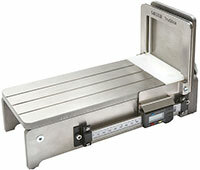 Good for all types of cutting, sectioning, trimming, dicing and dissecting. Use instead of wax sheets or corkboards. Flat white surface. Surgical instruments for the teaching or research laboratory. All instruments are made of durable stainless steel and have a fine finish. 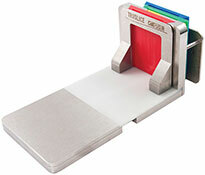 Supplied in a zipper case with an 8 instrument capacity. Disposable, sterile suture removal kit offers convenience and extra protection against cross infection. 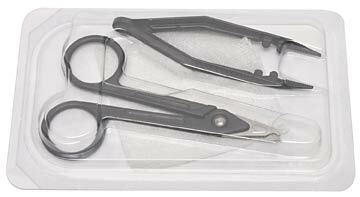 This sterile kit can also be used in the procurement of surgical, forensic, and pathology tissue biopsies. Sold in packs of 10.